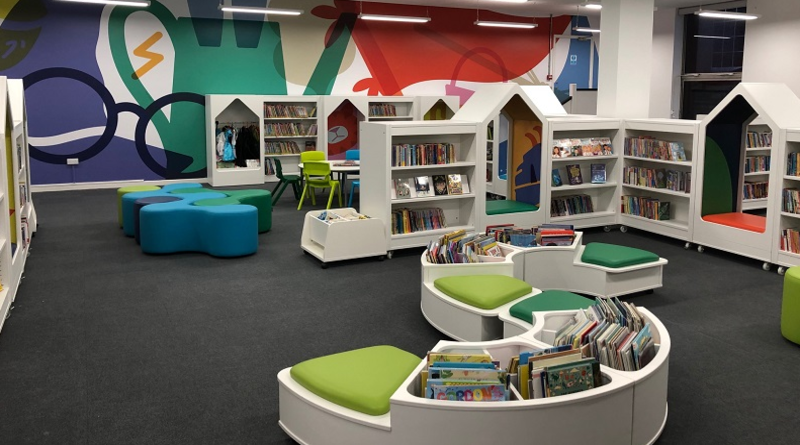 Andover Library has opened its doors today (Wednesday 6 February) following a £325,000 refurbishment by Hampshire County Council. Local residents now have a modern, vibrant space to meet, read, learn and play in, a new community room for hire and a larger children’s library. The changes at Andover Library have reaffirmed its place at the heart of the community. The larger children’s area will mean babies, toddlers and youngsters can enjoy more fun activities. The library can also be used by a broader mix of groups and organisations thanks to new spaces for hire, furniture which can be moved around more flexibly for events, and the removal of large counters to make better use of the public areas. This refurbishment is another chapter in our programme of investment in libraries across Hampshire, which is modernising these important public facilities to maintain their popularity, make their services more sustainable for the future, and crucially, to offer an even better service to the communities that use them. I would like to thank all our regular library customers for their patience while the work was taking place, and we look forward to welcoming them back – along with many new customers.